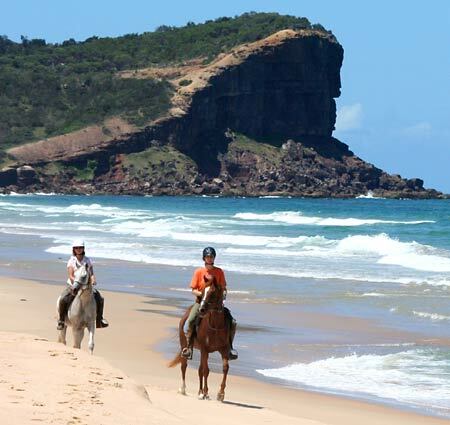 Learn why your host for the Australia Arabian Horse Vacation choose Arabians for her equestrian vacations and why she enjoys welcoming experienced riders to pound the surf in New South Wales. Equitrekking Travel: Why did you choose the Arabian breed for your equestrian vacations? 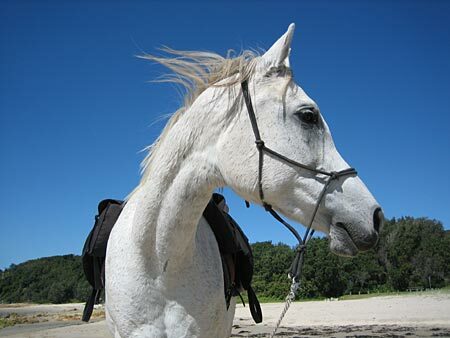 Kathy: Arabian horses are fairly popular saddle horses in Australia. They are the most common breed for endurance riding, which is well practiced in Australia - the land of the Great Outdoors- and consequently Arabian horses also make excellent trail riding horses for long distance tours. Coming from an equestrian background, I didn’t really have much to do with Arabian horses before I came to Australia. The view I had of Arabian horses in Europe was the stereotype of the flighty show Arabians who look so fragile, wild and beautiful. Here in Australia there are more diverse bloodlines where the focus is on either show (beauty) or saddle horses (endurance riding) and I learned that the quiet and sensible Arabian horse exists and still is beautiful! When I started to look for horses for my riding business in 2001, I considered a few different breeds and ended up with Arabians. 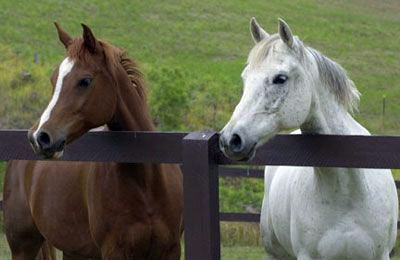 I wanted to have a group of typical Australian horses: Australian Stock Horse, Thoroughbred (racing) or Arabian horses. 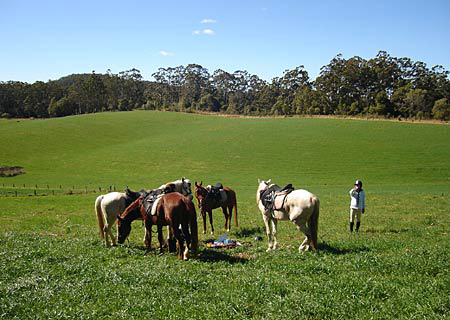 I wanted horses that are fun to ride, forward going, willing to work and good with the Australian climate and terrain conditions for horse riding holidays Australia. Most of all I wanted to do something different and have a different kind of Horse Trail Riding business, where experienced horse riders from all around the world come for a holiday and appreciate the great horses - and I think Arabians are something different altogether. Sometimes their high-energy nature and intelligence make things a bit more complicated for me, but I value their amazing stamina, work attitude, toughness and temperament. Equitrekking Travel: What do you like about trekking on Arabian horses? Kathy: Arabians are so forward going and agile and have never ending energy. The work of carrying different riders all day through some challenging and hilly terrain all seems so easy for them. They run up hills and canter along the beach. They adapt very well to the climate extremes and are very willing to please. They are graceful, yet tremendously tough. They are a fun horse-- never make a dull ride and always happy to keep going even longer. Equitrekking Travel: How did you end up in Australia? Kathy: I went backpacking for a year on a Work & Travel Visa after I finished my psychology degree in 1994. Coming originally from The Netherlands, I loved Australia's space, nature, beaches, sunny weather and off course the horses. It was clear to me then that I wanted to stay in Australia but I had to go back home and it took 5 more years to gather work experience in my profession before I was granted a permanent residency Visa and could come back to live in Australia. I immigrated to Australia in 2000, and by then, I knew I wanted a change in lifestyle on top of the change in country of residency. The dream of the horse riding holiday business already had taken shape. The place where I live was chosen for its beautiful scenery and nearby beaches, good climate for year-round horse riding, large grass fields for grazing horses, exceptional and extensive horse riding terrain and convenient location for international visitors travelling along the east coast between Sydney and Brisbane. Equitrekking Travel: What do travelers find most surprising when they visit you in New South Wales, Australia? 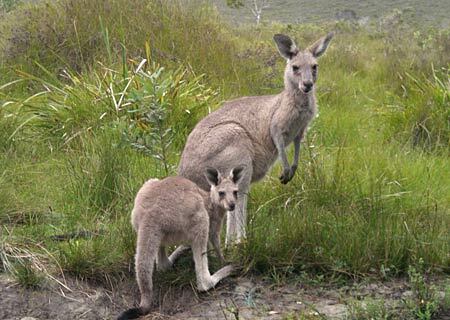 Kathy: How green it is here, how big the horse paddocks are and that we have kangaroos and wallabies in the garden, just like you have deer in the field. They look so cute! There's exotic birdlife and colorful parrots sitting on the veranda. People are surprised that there are no other people on the most amazing beach where we take the horses and that we ride all day through the bush and see nobody else, and of course, that Arabian horses can be so easy, willing, responsive, agile, fun and fast! 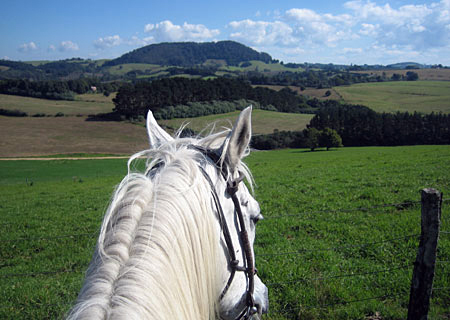 Equitrekking Travel: Do you have a favorite day or days either on your progressive or farm stay riding vacations? What is it and why? Kathy: What can I say? Every day ride is different, and every ride has a special section. I love the diversity. I have done the rides for more then 7 years now, and I never get bored. Arriving at the winery after spending 6 long hours in remote bush land and letting the horses have a drink and play in the creek while they know they have arrived is always special. I love the moment when we come trotting out the forest into the open fields of the Comboyne Plateau. There's a little trail with amazing views right to the ocean on our way up the mountain. We breathe in the smell of the rainforest on a rainy day and the scent of Eucalyptus on hot days. Of course the beach is everybody's favorite. On a perfect blue sky day, the horses walk and splash in the water. They gallop effortlessly on the smooth sand for miles, and you can spot dolphins jumping the surf. It's hard to think of anything better to do in this life. 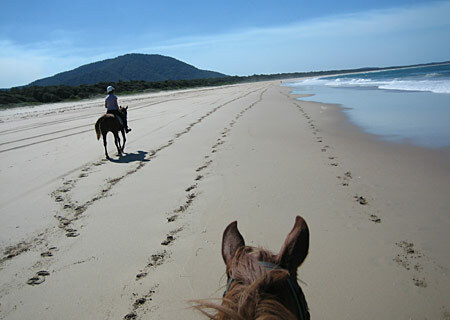 Learn about Australia Riding Vacations where you can horse ride on the beach and in the bush.